Despite the well-used disclaimer that past performance is no guarantee of future returns, patterns show that investors chase returns — to mixed results. 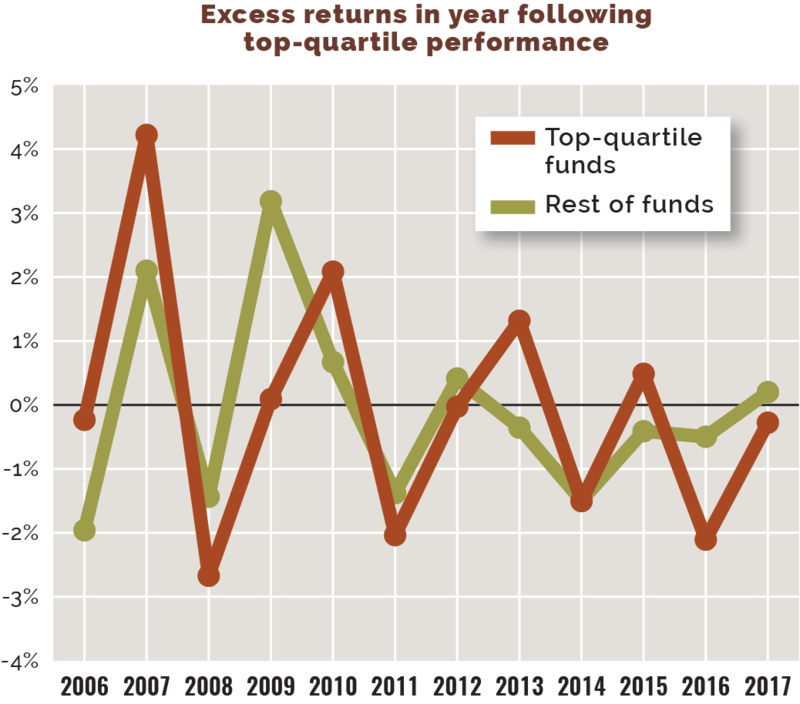 Follow the leader: Mutual funds that perform in the top quartile see larger capital inflows the following year. 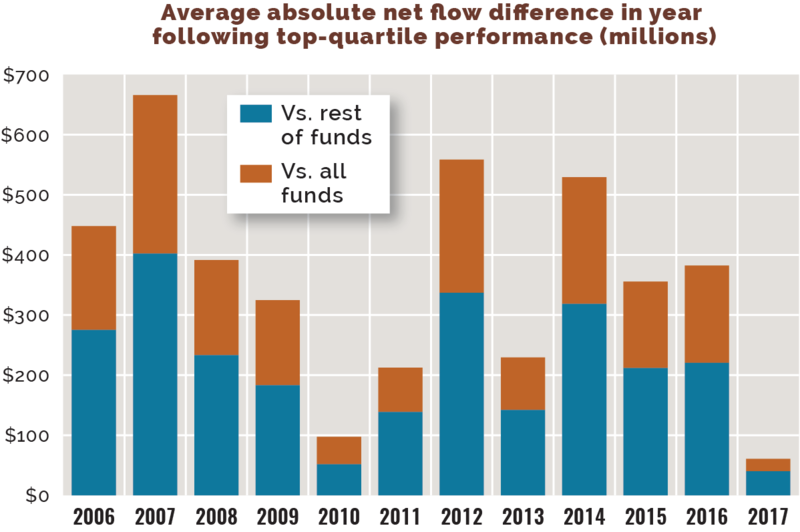 Overall 2017 net flows were negative, but the 2016 top-quartile funds saw about half of the average net outflow of the lower-ranked funds, and a third less than the overall average. Tough to repeat: Active funds, in general, have had a tough time staying on top. 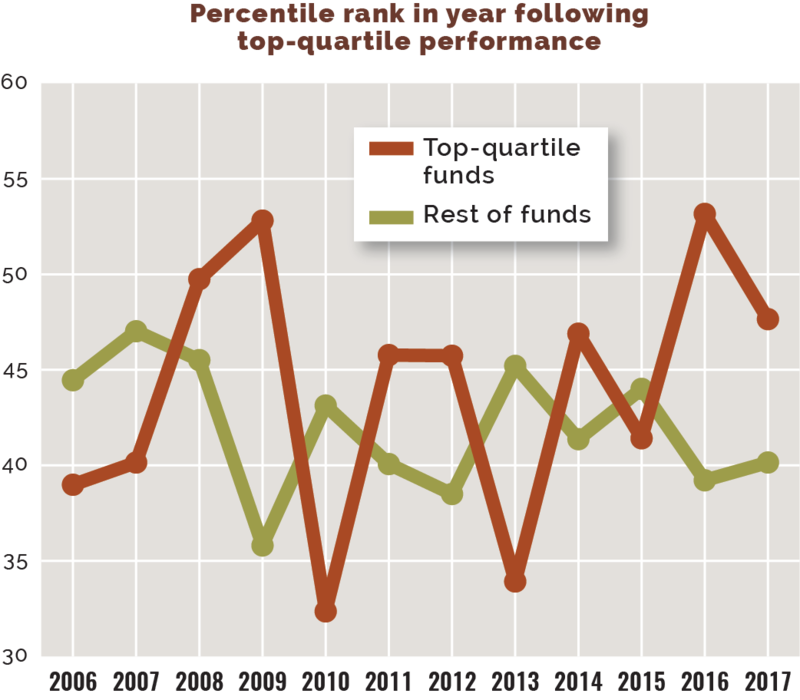 Top-quartile funds have struggled in the following year to maintain top performance. Ranking dropoff: Analysis shows that top-quartile managers will rank lower on average in the following year, but remain in the top half of their peer group over longer periods. 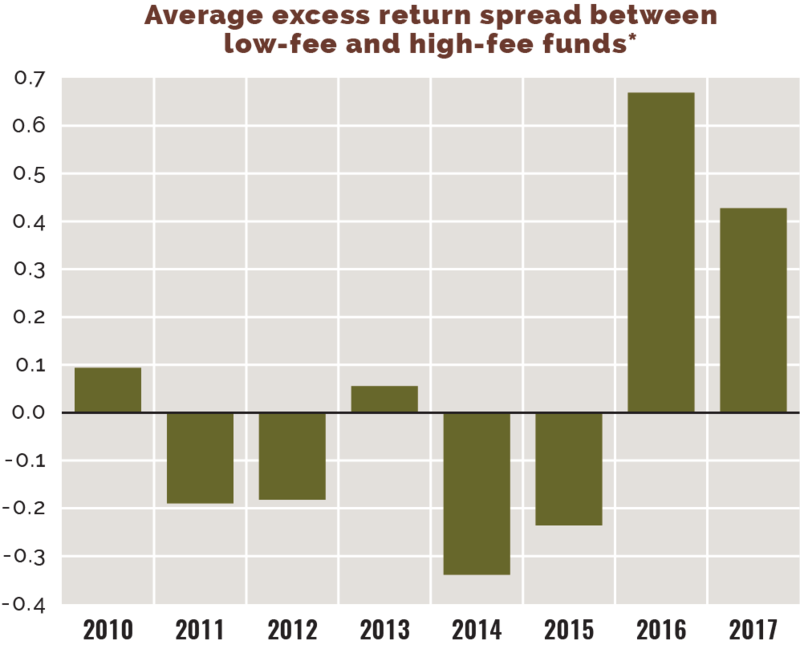 Fee switcheroo: Historically, higher-fee funds have outperformed their lower-fee peers. The dramatic shift in 2016 and 2017 shows the impact of lower-cost quantitative managers outperforming their traditional peers. *Median fee used to delineate low- and high-fee funds. Universe: 1,100 mutual funds across the 15 largest institutional active managers. Source: Morningstar Inc.